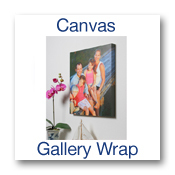 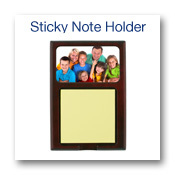 Cradle your Sticky Notes in this beautiful wood holder with space for 1 photo. 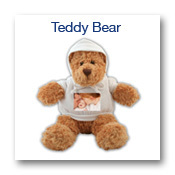 Cuddle with this soft high quality bear with it's own hoodie sweatshirt. 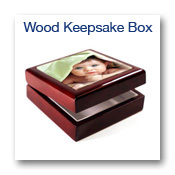 Keep your most precious stuff in this polished wood keepsake box with a 4" tile photo on top and felt lined inside.